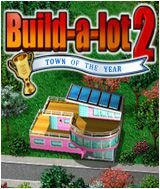 Download Build-a-lot 2: Town of the Year for free at FreeRide Games! Ever wanted to get into the Real Estate business but didn't know where to start? Then the popular Build-a-lot series can give you a little taste of life as a Real Estate mogul. The premise of this real estate development Strategy/Sim game is that locals in a series of towns need to expand and improve their properties, and as their contractor, you must complete building assignments set by the local leaders in order to move to the next level. Assignments can range from building homes, improving the town's appeal rating, earning lots of money and more. The faster you can complete the assignments within the set deadlines, the better your score. New building goals are added as you progress through the game. For example you get to build all sorts of houses, buildings, shops and parks. In Build-a-lot 2 - Town of the Year you can also paint and landscape your homes to boost the town's appeal and increase the value of the properties. Most of your income will come from either renting out the homes and shops you build, or selling them for huge profits and the town you improve most will ultimately win the coveted title of Town of the Year! So are you ready to see if there's a little Mr. Trump in you? 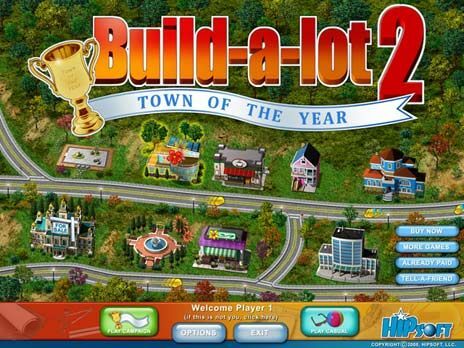 Play Build-a-lot 2 - Town of the Year and see if you've got a knack for real estate development! Flip houses for big profits. Paint and landscape houses to increase curb appeal. Build fun parks to help beautify the neighborhood.